Orchestra Santa Monica hasn't added a story. Each year Conductor Allen Robert Gross and Orchestra Santa Monica present four engaging, beautifully performed concerts at the Moss Theater in Santa Monica. Allen and the musicians are ready to perform great and inspiring music for their audiences but they need your support to make this happen. We need $10,000 to complete our season. That’s not a large sum, but it is an important one for us at this moment. We are reaching out to friends and family and their friends and family to help us reach our goal. Orchestra Santa Monica hasn't posted any updates yet. Orchestra Santa Monica is managing the funds for this campaign. 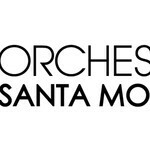 Orchestra Santa Monica is a verified organization.